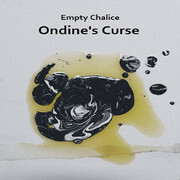 The musical background of the project "Empty Chalice" comes from a long route started in the late 1993. Deeper the extreme scene as cultor (death and black metal at all). Abandoning metal sounds, he dedicated himself to compose industrial tracks. Arrived at the sound of the black-industrial Gods as Aborym, Blacklodge, Mysticum, Diabolicum and after, at the sound of the masterpieces of MZ412, Folkstorm, Toroidh of Nordvarg and everything related to Cold Meat Industry. He's now near to new sounds affected by the death ambient, blackened noise, with a sound that mix many influences. Recorded at the Bunker Studio between end of 2015 - begin of 2017. 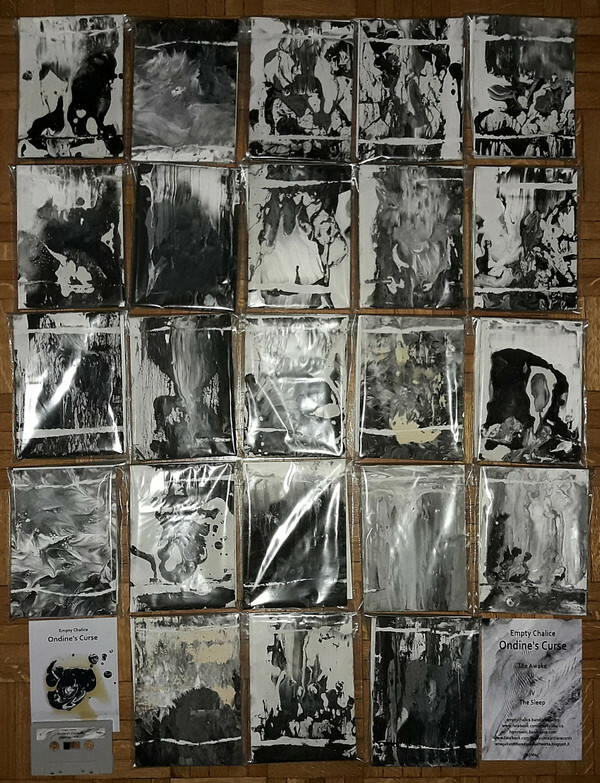 Limited grey 'mushroom' tape edition of 23 copies including 23 different artwork hand painting on white carton plates (13x18 cm) by Omega Kunst plus three photo inserts. According to French and German mythology, the nymph Ondine discovered that her husband had committed adultery. Because he had promised his every waking breath to her, she cursed him that so long as he was awake he could breathe, but if he ever fell asleep he would stop breathing and die.